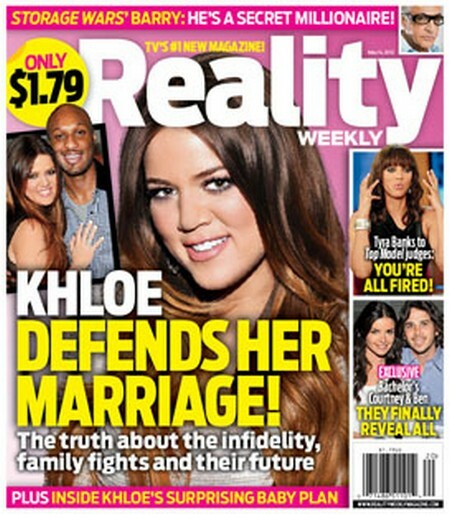 The latest issue of Reality Weekly Magazine has the cover story of Khloe Kardashian yet again defending her marriage to Lamar Odom. Inside the issue is more insight into the issues that plague this couple. Being married into the fame-seeking Kardashian family can’t be a picnic for Odom and it’s no secret his basketball career is sliding. The magazine claims they have the dirt on the rumors of infidelity, the family fights and what the future holds for them. I guess the future can’t be that bad if Reality Weekly has Khloe’s surprising baby plans. Their much-publicized move from California to Texas proved a bad leap of faith as well. Then there’s the often mentioned baby making issues. They’ve reportedly been trying to conceive without any luck for a few years. The pressure of that will put a serious strain on even the strongest of couples but there seems to be a new baby plan in the works. These are a few of the topics Khloe is discussing in this issue. Khloe is all over the covers this week – if we listened to the tabloids poor Khloe would have been single long ago. Also inside, The Bachelor’s Ben and Courtney are finally coming clean about their relationship. Are they engaged? 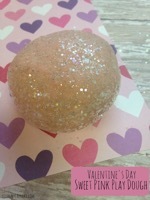 Did they finally set a date? Are they even still dating? Who can keep up with this shady twosome! And who really wants to? Shrewd business woman Tyra Banks plays as tough as Donald Trump these days. She wants the entire judging panel on America’s Next Top Model fired. Who exactly is she clearing the way for? Pick up the new issue to find out!